Shelly Jean Hofmann has been missing since June, but she remains foremost on the minds of those closest to her. Last month a candle light vigil at Harbour Quay was held in Hofmann’s honour. Close to 60 people showed support, some even sharing stories of their missing friend. 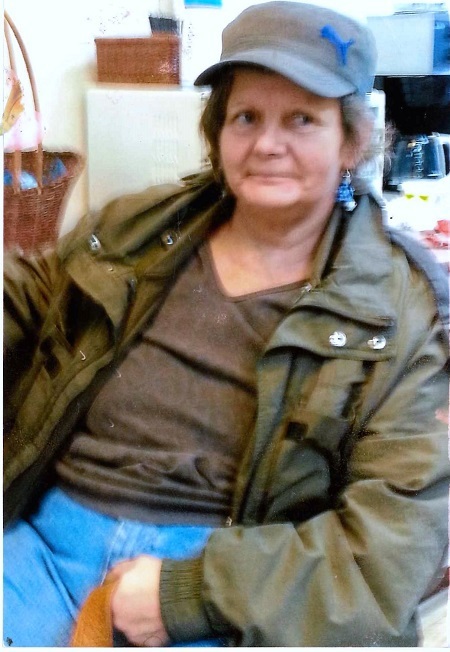 Hofmann was last seen on June 24 on Third Avenue in front of Alberni Community and Women’s Services Society (ACAWS). The RCMP listed her as a missing person on July 28. “She’s missed by a lot of people…a lot of people are worried about her,” said Cheryl Mangelsen, an old friend of Hofmann’s who organized the candlelight vigil. Having known Hofmann for close to 25 years, Mangelsen said the 49-year-old generally kept to herself and was harmless. Mangelsen said Hofmann suffered from addiction and wonders if a stigma surrounding her lifestyle has prompted people to lose concern over her whereabouts. “I don’t know if people just don’t care because of who she was and what she did. It’s really sad. I wish if I was missing someone would still be looking for me,” Mangelsen said. Other than the support for Hofmann at the vigil, Mangelsen said concern for her old friend is lacking. Although rumours have surfaced that Hofmann has been spotted around Vancouver Island, Mangelsen said she is skeptical of the hearsay because she believes if Hofmann was near Port Alberni she would be back to pick up her welfare and GST cheques. On June 22, Hofmann was charged with theft of $5000 or under for an offence that occurred on March 18, 2016. She did not show up to her court date. Hofmann’s missing person’s file remains open by the Port Alberni RCMP and the investigation is ongoing. Port Alberni RCMP investigators continue to actively seek information from the public, no matter how small or inconsequential it may seem, according to a Dec. 6 press release. “Investigators are asking residents to check any sheds, outbuildings, properties or abandoned buildings on property that they own, to assist in furthering the investigation,” said Cpl. Amelia Hayden, Port Alberni RCMP media relations officer. Hofmann is described as a five-foot Caucasian woman,150 lbs with blue eyes and short grey hair. According to the press release, Hofmann was often seen walking around downtown Port Alberni with a very distinctive walk. She has a pronounced limp, almost rocking from side to side and is hunched forward. Anyone with information on Hofmann’s whereabouts, is asked to call the Port Alberni RCMP detachment at 250-723-2424. Anyone who wishes to remain anonymous is asked to call the Alberni Valley Crime Stoppers at 1-800-222-TIPS (8477). Crime Stoppers offers up to $2000 cash reward for information.